What's your bug out apparatus of choice? Do you have an entire bug out vehicle or just a bug out bag? There is a tremendous amount of emphasis on bug out bags. 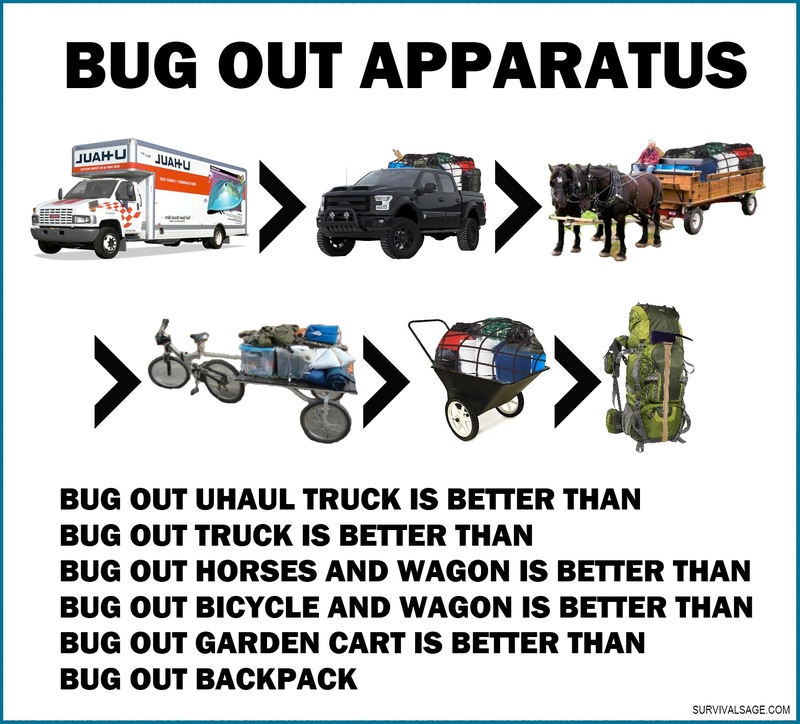 There is also a lot of emphasis on bug out vehicles as well. 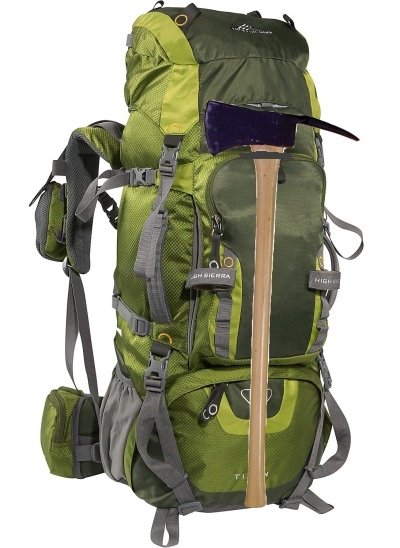 I often wonder though, if everyone who is excited about their bug out bag has considered all the possibilities for bugging out with the gear they need. Doesn't this make sense? The more gear and supplies you can bring, the more it will improve your chances of survival. Likewise, the faster you can travel, the better chance you have of escaping danger and getting to safety. Here is what a common bug out bag may look like. You are limited to something like 80 lbs and you have to carry it all on foot. But isn't a garden cart like this one better? You can carry about 400 lbs (some of which could even be people, like the elderly or children) and a very small amount of that weight would be on your feet. It rolls, so you could move fast. 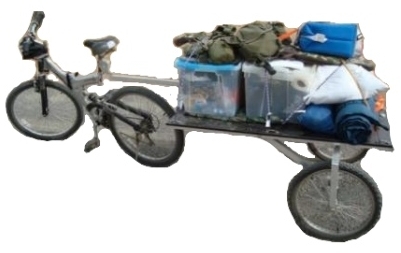 But then, isn't a bicycle with a wagon even better than a garden cart? You could carry almost the same amount, but you can move faster. Plus, a bicycle will have a lot of value in a world after society has collapsed. Horses with a wagon is even better than a bicycle with a wagon. 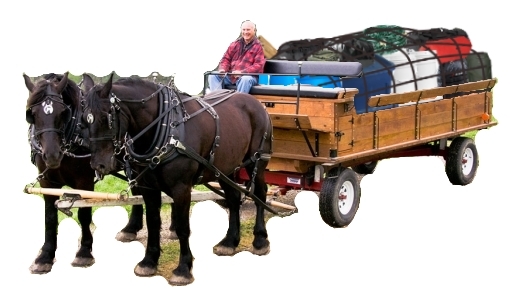 Depending on how many horses and the size of the wagon, you could load anywhere from 1,000lbs - 8,000lbs of gear and supplies. After the collapse of society, horses will become one of the main modes of transportation. If you can have a male and female horse, you will do society a big favor by breeding and selling additional horses. That wagon will also be extremely valuable. In a post collapse world, you could start a career as a merchant with the help of the wagon and horses. In situations where the bugging out part is critical (i.e. leaving quickly is important and you may have to travel through and away from many other people quickly), a bug out truck will be better than bug out horses and wagon. You can load thousands of pounds and move quickly. If you don't have a nice 4 wheel drive truck, any vehicle will work. If all you have is a small car, that small car will be better than just walking with a bug out bag. Remember, if it ends up being a true SHTF and end of the world as we know it scenario, don't hesitate to pile stuff high onto the roof of your vehicle as well and tie it down. Think of how they do it in the third world. You'll be glad you did. Along the same lines, why stop with just a regular truck? If you have more gear and supplies that will be valuable to you in a world WROL, why not go rent or get a U-Haul truck and load up that entire thing with your supplies and bug out? It's still fast and you can carry about 3 times as much as you could with a normal truck. It may not work out, but I think it's worth trying. 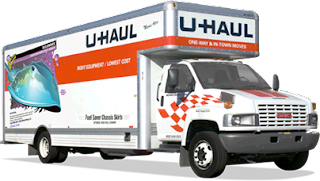 If the manager at the Uhaul place is not aware the SHTF, you can just rent it like normal. If the manager is aware that the SHTF, you can negotiate a deal with him for the truck. In the end, you'll be glad that you got all that extra gear and supplies to your bug out location. Some say, "But if you have to bug out in a few seconds, all you can do is grab a bug out bag." 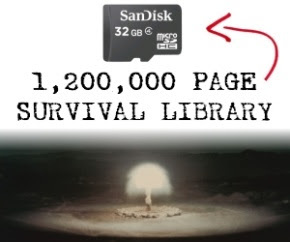 How many scenarios are there where you would actually have to bug out within seconds? Very few. And those scenarios are not typically EOTWAWKI events. They would often just be regional natural disasters. 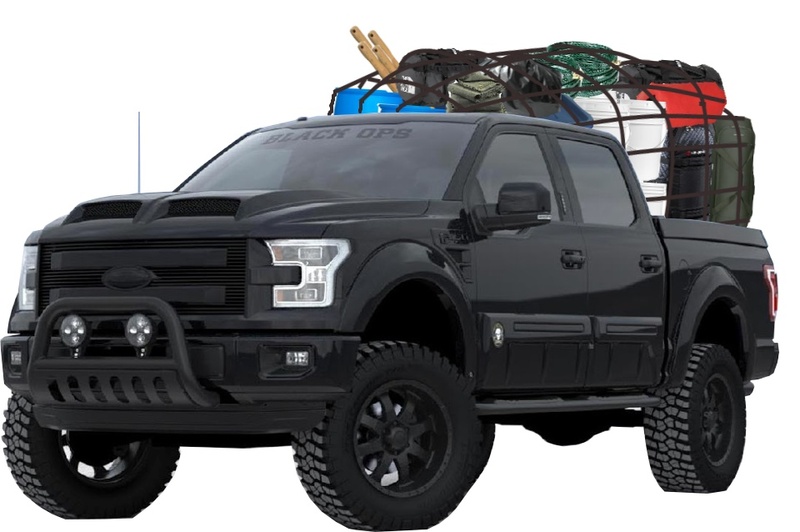 However, there is a very slight possibility that you have to abandon your vehicle in the middle of your bug out, in which case I would recommend having a complete bug out bag with you in an easily accessible place to grab and run if you need to. You might want to have a regular size BOB and a running BOB (one that you could grab and literally run with). If you don't have money or the ability to go larger, it's understandable, but most people should be able to at least get a garden cart or attempt to rent a Uhaul truck. Not everybody can own horses and have them ready. That's understandable. Not everybody is so into prepping that they will even have enough supplies to fit into a U-Haul truck. However, for people that don't have all the supplies they need, I would recommend making a mad rush to the stores to try and get what they need when the s*** hits the fan. If you already have a pre-existing bug out location, most (but not all) of your supplies should be there already. Some say, 'If you get stuck in traffic you may need to abandon your vehicle and just grab your bug out bag and go." I say, don't get stuck in traffic. Bug out early and take routes where that is unlikely to happen. Sure, no plan is full proof and there's always a chance, but I would say try to pack in and tie on a garden cart with your gear and if you need to make the transfer, you can. What about your vehicle breaking down? What are the chances of that happening in the 100 mile journey to your bug out location? 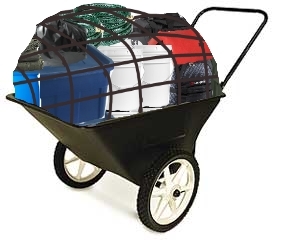 And if it does, just transfer your most important items onto a garden cart and abandon the rest (or shuttle the remaining items to your bug out location if it's not too far from where you broke down). If it was an EMP, the vehicles might not be working, so go for the next best option. What about road blocks? Bug out early. I don't think people will get organized enough within the first week to set up roadblocks. "But a Uhaul truck and other vehicles can't go offroad. On foot, I can go anywhere." Personally, I would bug out to an undeveloped forest area, so I would actually just drive to within a mile or two or my intended bug out destination, park the truck and shuttle the supplies about 100 yards into the forest, ditch the truck a few miles down the road, then shuttle all the supplies to my final bug out location on foot. What about leaving a footprint? I don't worry about leaving a footprint too much, because in a scenario where the SHTF, I think people who are going to steal to survive will go after easy targets in cities and towns first, before attempting to use their tracking skills in the middle of nowhere. In an eotwawki event, I would actually argue that a bug out sailboat is better than all of these choices, but I suppose that has more to do with method and few people know how to sail well enough. Lastly, if it's a true end of the world as we know it scenario, you won't want to spend the next years of your life regretting that you decided to bug out with only a 70 lb bag of supplies rather than 1,000 lbs of supplies that would have made life much much better.